American Rapper, DeAndre Cortez Way, known professionally as Soulja Boy, announced on social media that he will be selling his own video game consoles and refurbished tech accessories. 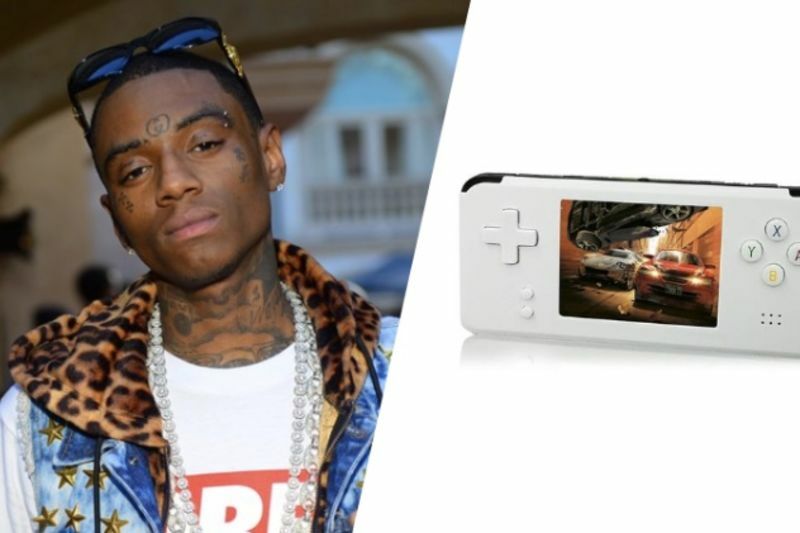 On his website, SouljaWatch.com, fans – or anyone that is interested in purchasing the device – can see that there are two gaming devices, which have been named the SouljaGame Console and the SouljaGame Handheld. At the time of writing, the device was on sale for $99.99 but the original price for it is $199.99, and the price of the console is $149.99. Soulja Boy claims that the console is capable of running PlayStation, NeoGeo, PC, Sega, Game Boy Advance, and NES games as well as "SouljaGames". According to the website, the console comes with 800 games that will be preinstalled onto the console itself. It also states that the handheld runs Switch, 3DS, Vita, NeoGeo, Game Boy Color and Advance Games, and it will have 3,000 games built into the system. His website also features other accessories that are for sale such as SouljaPods, SouljaHeadphones, SouljaWatches, SouljaPhones, and the SouljaPad, which are all currently available to purchase.